Dr. Seifert has experience in managed care, medical group management, clinical research, pharmacy services management, and academics. He has practiced in several settings including hospital, long term care, clinical research, medical group management and managed care. His managed care experience includes HMO, medical provider groups, and consulting for employer groups. 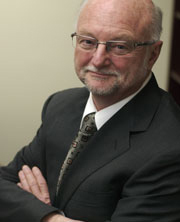 He serves as a consultant to several large multispecialty and IPA medical groups in Southern California and Minnesota. Prior to joining the College of Pharmacy faculty he started and managed a successful consulting company of which he is still affiliated. Dr. Seifert is involved in the development of viable business models for community-based medication therapy management services.